Your home should feel like home, and that includes your closet. Yet, most people aren't comfortable in their closets because they're messy, unorganized or outdated - or all of the above. 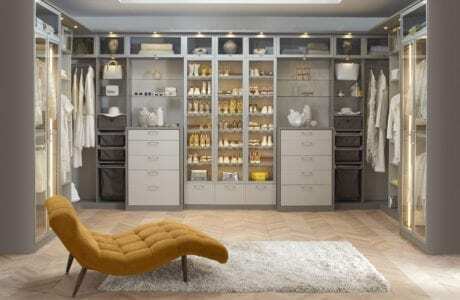 California Closets of Greater New York is the expert in custom closet design, and we take your style, preferences, budget and space limitations to heart when working on a design for you. Bring your imagination to life with the help of our designers. 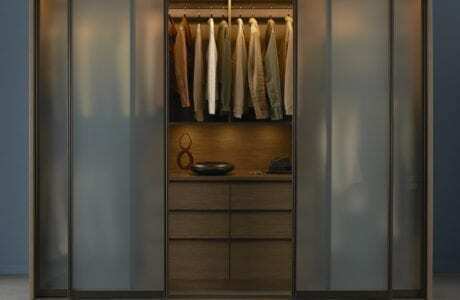 Here are a few closet ideas to help get you inspired. The Dressing Room: Get high-end furnishings reminiscent of a posh boutique with sliding doors, slab drawers and custom back-painted glass. The Showcase: Leather-covered center islands, slated shoe shelves and double hanging space creates a high-end men's boutique feel. 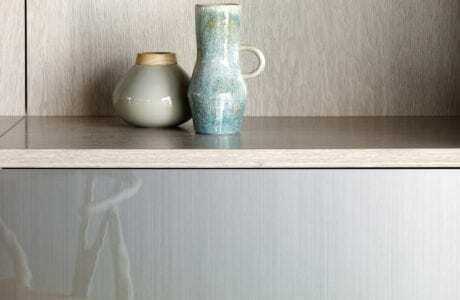 The Reach-In: Practical and minimalist, the classic reach-in closet offers aluminum slide doors and wired bronze gloss drawer fronts for just a little bit of sparkle. The Walk-In: For those with enough space, the walk-in closet can be the most luxurious way to store all of your belongings. Center island seating, LED lighting and shoe boxes are a great way to store and showcase all of your favorite items. The sky's the limit when it comes to your custom closet here in Greater New York. Schedule your complimentary in-home design consultation today to get started.